Fred Tackett: It’ll be a really fun time with lots of great music. Inara George will be there, who grew up with us and the rest of Little Feat and is a wonderful performer. And then there’s Van Dyke Parks, who’s a composer and arranger here in Los Angeles. 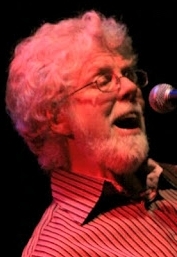 He has done amazing work with Little Feat over the years. He did the amazing arrangement on “Sailin’ Shoes” for Little Feat, and he also did a lot of work with Brian Wilson on Smile and all kinds of Beach Boys songs. The good ones [laughs]. “Surf’s Up”, you know, things like that. So anyway, he’s going to be there, Inara’s going to be there. And our old friend Albert Lee. When I met Albert Lee he was the guitar player in Head, Hands & Feet, a British band. And of course Scarlet Rivera is going to be there, who is famous for the “Hurricane” song with Bob Dylan. And a local band who’s very famous called Dishwalla is going to play as well. So it’s going to be a very interesting night of music. Paul Barrere and I are going to play some Little Feat tunes and a couple of songs of ours, and Inara and Van Dyke are going to do some stuff from their recordings. Albert Lee and I are going to play a song called “The Highwayman” that was written by a mutual friend named Jimmy Webb, who was a very important person in my life. He found me in Hawaii and brought me to L.A. where I met my wife Patricia. You know, it’s going to be a real fun night. We don’t get a chance to see each other very often, so it’s going to be a good chance for us to reminisce, hang out, play some music – all for a good cause, Safety Harbor Kids. JM: That brings me to my next question – can you tell me a bit about the mission of Safety Harbor Kids? I had a friend of mine who moved here from Iran, and he bought a grocery store. He came over to my house and said, “Tell me how it works.” You know, “Do this, do that, talk to this guy, talk to that guy. Be cool this way, be cool that way.” Just little hints about how to move through society, how stuff works. And kids don’t have a clue. They just sort of grow up, and nobody has given them any sort of hints about how to be successful. So they go over to Geoffrey’s Restaurant, and the guy there will tell them about how he started off as a dishwasher at Geoffrey’s and eventually owned the place. Talking about things like that. There’s so many people who became really successful without a college education. But the other thing they do is mentor kids for a college career – teaching the kids that they can go to college if they do this and this. So it’s basically showing these challenged orphaned, homeless, and foster kids how to strike out into society and how it works. At the same time, they’re doing academic tutoring. There’s a child who showed a lot of musical abilities, so they’re channeling her. They got her a guitar and some music lessons, and so she’s going crazy with that and picking up piano and stuff. It’s just encouraging personal growth, things like that, these kids, trying to give them a clue. JM: Sounds like a very worthy cause. FT: It’s a niche that doesn’t get covered a lot. JM: You and Paul go way back – you played together on some of the classic 70’s Little Feat albums. 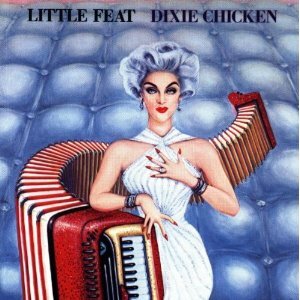 But I understand that you weren’t an official bandmember of Little Feat back then. Why not? Were you too busy with the session work at the time? FT: Number one, they had a good guitar player [laughs]. They had both Lowell and Paul. I met Lowell George through my wife Patricia. She lived next door to him in the Los Feliz area. 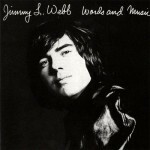 I was working exclusively with Jimmy Webb at the time. When I met Lowell he only played sitar. Patricia brought him over to Jimmy Webb’s house, where we all lived in this big mansion. It was like a Reality TV show where you had a rock and roll band that lived in this former Philippine embassy in the middle of Hollywood, right down the street from Ozzie and Harriet’s house. It was 1967, and a wild, great time was going down. One night Lowell shows up, all dressed in white, and he’s sitting in the middle of the living room playing the sitar. I went up to him and I said, “Hey man, we could retune that and play some psychedelic music.” And he was like, “Oh no, I only play traditional Indian music.” And then about two weeks later he was in The Standells, and about two weeks after that he was in Frank Zappa and The Mothers of Invention doing Uncle Meat. So yeah, I met Lowell and we became really good buddies – Jimmy Webb, Lowell, myself, a jazz guitar player named Larry Coryell. We all hung out together all the time, and had some great adventures together. And at that particular point Lowell was starting to put Little Feat together, and so I met Billy Payne and I met Roy Estrada. The first job that they actually got paid some good money was playing for Jimmy Webb’s birthday party. Jimmy was recording his solo albums at the time, and we were working on some film scores, and I was very involved with Jimmy. Lowell was putting together Little Feat, and the first couple of records went down. And then he got Paul and Sam Clayton and Kenny [Gradney]. Sam Clayton and Kenny came from Delaney & Bonnie’s band, and Paul was with a band called the Led Enema [laughs]. They were going to put out a record called Hot -BEEP- from the Led Enema, but Lowell came and intervened, and Paul became a member of Little Feat. They would tour. I would come in. I had written a song over at Jimmy’s house called “Fool Yourself” and played it for Lowell, and Lowell said, “I want to record that.” So on the Dixie Chicken album which is the first album that all those guys played on, I came in and played acoustic guitar, and we cut “Dixie Chicken”. I forgot to mention that the fabulous Richie Hayward was in the original back as well. So I was kind of like a utility infielder or something [laughs]. I came in on Time Loves a Hero and played a little mandocello, and played some guitar on various little tunes here and there. We were all good buddies. It was a different time. I’m sure among a lot of people who are working it’s the same way. I’m kind of out of that loop now. Hollywood’s really kind of a small town of musicians and artists. It’s very cliquish, and we were all just a part of that clique scene. A lot of the Little Feat guys – Billy Payne, myself, Paul – worked with the Toto guys on lots of records. So we just all hung out together all the time. It was that kind of a thing where it’s like, “Hey, you’re working on Jackson’s record in this studio. When you get done with that come over here at 2:00 in the morning and overdub a guitar part for me.” A lot of cats hanging out together in the studios. That was working. And I’m sure it still is [laughs]. I’m not particularly in that group anymore. JM: Well, that was a good crowd to get mixed up with, right? FT: It was a very fortunate crowd to get mixed up with, at a very interesting time in Los Angeles music history. I don’t know if it could ever go down again. It was the weirdest time. I mean, you’d go into a recording studio and there would be a mirror taped to the console desk. Lots of people were doing blow, and there was Blue Nun wine everywhere. Now when I go into a studio it’s much more under control, and nobody’s drinking wine and there’s no mirrors taped to the console board. Things have – I guess some people would say – grown up a bit. But at the time we were having a real good time. Of course it didn’t work out so good for a lot of people, but it was a big party going on and things were very loose. It was a different era. JM: When you hear about Lowell George it seems like he was a larger than life presence, you might say. Can you tell me a bit more about what he was like? FT: Lowell was probably one of the most generous people I ever met. He was always mentoring any person he ran across that could play at all. We would be sitting here in Topanga Canyon, where I am now and he lived up the street, and driving around he’d come up by the house and say, “Hey man, I heard this guitar player. I didn’t know where he was, I just heard it in the air and I followed it and found the guy’s house and introduced myself.” He would do that kind of stuff. Or he’d drop by if you had a gig, he’d come by and help you set up. Of course, he taught me a lot. He’d say, “Let the amplifier do the work. Don’t be banging on the guitar so hard.” And he’d loan me equipment. He was just the most generous fella. He encouraged lots of musicians, not just me. He encouraged Linda Ronstadt a lot, and Bonnie Raitt. Even though they were successful, Linda was very successful, she took Lowell’s advice to heart. You knew he knew what he was talking about [laughs]. He had a self-confidence, a presence, and such a beautiful personality, a generous personality, that when he told you something you knew he was not BS’ing you. JM: You already mentioned Jimmy Webb, and when I look at your musical resume it’s quite incredible how many other people you’ve played with over the years. Is it possible to pick out a few that particularly stand out to you? FT: Yeah, there were several. 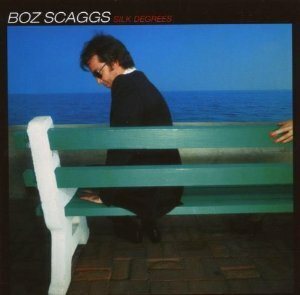 I always mention Boz Scaggs and the Silk Degrees record. When we were cutting the record, every track we’d play we’d go, “That’s bad man! That’s some really good stuff we’re playing there.” That was a lot of fun, and I subsequently got to go tour for a short time with Boz, with that band. He was like the coolest band leader I ever worked for. He would drive the rental car [laughs], you know. He was one of the guys. He was not like a rock star, even though he was a big rock star at that moment. So I really enjoyed working with him, and I’ve enjoyed working with him since then on several other projects. He’s a real fun guy. Another guy, of course, is Van Dyke Parks. I’ve played on some of his recordings – The Clang of the Yankee Reaper and some of these really great recordings that a lot of people haven’t heard of, but I was very proud of. 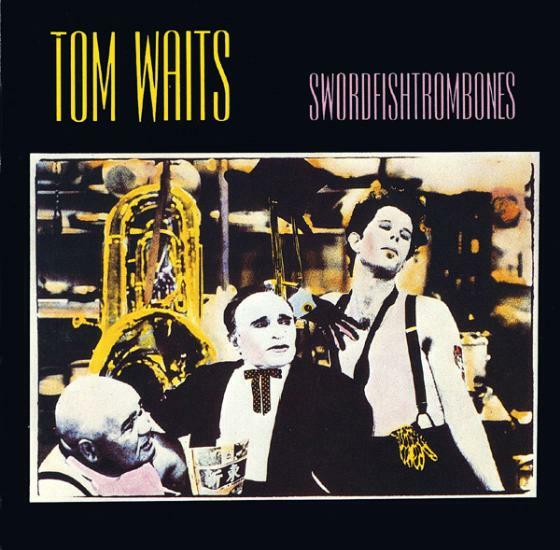 I’m also extremely proud of the Tom Waits Swordfishtrombones record, which I got to play on the entirety of it. Tom Waits was a very, very nice guy, and very inspiring as far as being a poet and an arranger. It was just one of them that stands out. There’s a lot more. Bonnie Raitt was great and fun to play on. Jackson Browne’s Pretender. Those records stand out. Of course all of Jimmy Webb’s records that we did before I kind of got into the studio thing. Jimmy was a big mentor to me, taught me so much about music. He’d wait until the last minute to do a big string arrangement for somebody, and the night before we’d lay out this music paper. He had this big pool table, and it would go down the whole length of the pool table, the score paper, and he’d sit at the piano and say, “OK, we’re going to have a C chord with the third in the bass,” and he’d tell me why he was putting the third in the the bass and stuff like this. We were just BS’ing as we’d go through. He’d say, “You want to always have that, and then you have an open chord up at the top.” This tech talk. But it was very educational, and a lot of fun. He was the guy that I’m most indebted to and most impressed with the work we did together. We did three or four solo records that we cut out at his house. And we spent one whole year, just the two of us, in the studio in Universal Studios. He was hired to do the music for a movie of a musical version of Peter Pan with Mia Farrow, and it never really quite happened. But as part of the deal he got the use of Universal’s on-site recording studio for a year, and we did an album called Words and Music there. It’s a fantastic record. We just overdubbed all the music, all the parts, just the two of us, for, like a said, a solid year, and we came out of the studio and whole Troubadour, Eagles, Linda Ronstadt, Jackson Browne, California rock scene was going down and we were kind of like, “Wha?” We come out of this cave and go, “Who are all of these people? What’s going on?” [laughs] That was definitely a major event in my life, musically. JM: I also have to ask about Bob Dylan, who you toured and recorded with. What was it like playing and hanging out with him? FT: I always tell people that at the time it was real normal [laughs]. Once you kind of got through the security bubble, which was necessary to keep random bizarre things from going down, because there was always a random bizarre circus right outside the door. But once you went through the door it was a very normal creative scene. I was playing with the best guys in the world. Spooner Oldham was playing piano, who’s just a legend and was a legend at the time. Jim Keltner, same thing. Tim Drummond, who just passed, was the bass player. Then Bob and I. At that particular point he was doing his Christian era. The first record I played on was Saved, and the first time I met Bob was when we were getting ready to tour behind Shot of Love. Since Mark Knopfler was not going to go on the road and play with him, I got the gig. So we rehearsed for like three weeks, and then I started touring with him. It was really fun because it was right before tour buses, so we were just driving around in an old school bus part of the time, and part of the time we had a Trailways bus with two guys in uniforms sitting in the front of the bus, with 7 or 8 of us and a crew on a bus driving. I remember it in the winter time. 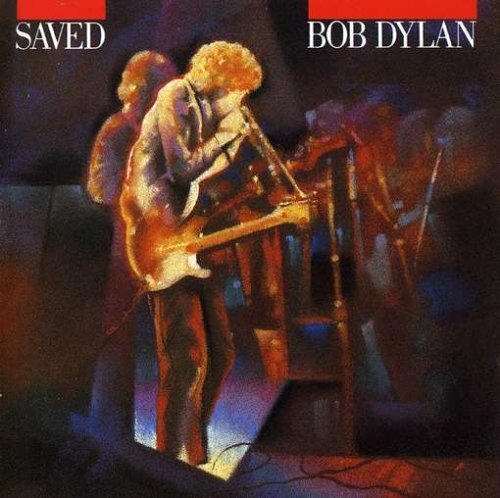 It was a mission because the Gospel music was not everybody’s favorite at the time, and people were freaked out about Bob doing that. We were driving through the snow and the ice and doing our thing. It was really great. I played with him for about three years, and the third year in we started doing the older songs again, which was real fun. We used to do a three-week residency up at the Warfield Theater in San Francisco every year, during which I got to play with Mike Bloomfield, one of the last times, I think, he played with anybody. He came by and sat in on “Like a Rolling Stone” and “Highway 61” and all that stuff. It was just an amazing cast of characters. 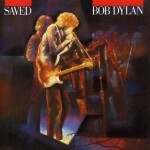 Anybody that had ever played with Bob came through, like Roger McGuinn. Everybody came through and did their songs with him. So that was fantastic. It was just an amazing experience, man, playing with Bob. JM: Another name that sticks out is Ringo Starr. What’s it like to play with a Beatle? It would be funny – we would take a break and everybody would disappear to some side room doing this or doing that or whatever. Everybody would go away doing whatever they were doing, but it’d be me and Bob and Ringo. “So, what’s new, cats?” I remember I cut a couple of songs with Bob – it was just the two of us in the studio because everybody else was off doing whatever they were doing, taking a break, taking lunch, whatever. You know, Ringo played with Jimmy Webb on one of our English excursions, a record called Land’s End that was produced by Robin Cable, who did all of the Elton John records. We got Ringo to come in and play. I remember going to the studio. 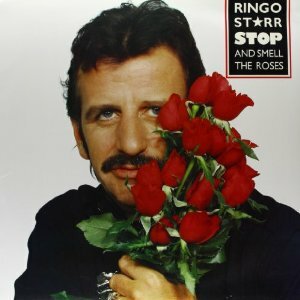 I was one of the first guys to get there, and there were Ringo’s drums, and the cases said “Ringo Starr – The Beatles”. And I just stood there and looked at it, like, “Ahh… I’ve got cases that say ‘Fred Tackett – Little Feat’.” But I’m sitting there looking at it going “Ringo Starr – The Beatles”. They were these old-fashioned, old fat drum cases, the old black round ones. That was my first time meeting him. He came in, and he looked like a rock star, man. But he turned out to be one of the cats, man. JM: You mentioned Tom Waits and Swordfishtrombones, which is such a great album, and a bit of a change in direction for him. What kind of guidance did he give to the musicians? FT: One of the prime guys on that record is Victor Feldman, who is an amazing percussionist in the studio, and he also was an amazing piano player. He wrote “Seven Steps to Heaven” for Miles Davis. An incredible musician. He was the percussionist on the gig. There was not a regular drummer. There was a guy [Stephen Hodges] who had all these vintage drums, and he played different combinations of them, but he never played a traditional set of drums. Tom would say, “Play the guitar with your car key” [laughs], you know, and I would ping out things on that. Or on “Shore Leave”, about a guy in Saigon having shore leave, he had me playing this old Harmony banjo like it was an Oriental instrument. It was definitely experimental all the way, and great fun. He would laugh and laugh, and he would do the Tom Waits voice. We did “16 Shells from a Thirty-Ought-Six” at ten o’clock in the morning [laughs]. We’d show up at Sunset Sound Studio, and he’s telling me this story about this guy that’s got a bird trapped in a Washburn guitar – he called it the Washburn jail – and the crow can’t get out of the guitar because of the strings going across the top [laughs]. And he says, “This guy has got his guitar tied to the back of a mule, and every once in a while he reaches behind him and pings on the strings, just to make the crow angry.” [laughs] It’s in the song – he goes, “I strum it loud just to rattle his cage. I hit those strings just to rattle his cage”. He would start to do that sound, he started going, “Whooo-eee”. He’d start laughing. He’d crack himself and all us up. We had a great time. It was just a lot of fun. It was not that serious. 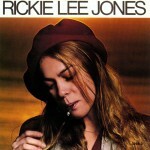 JM: You were also on Rickie Lee Jones’ first album. When that was happening did you feel like it would become a classic? FT: No. Lowell basically discovered Rickie through a mutual friend of ours, a songwriter named Ivan Ulz. I think Little Feat was playing at The Troubadour, and Ivan brought Rickie over and they played him the song “Easy Money”. Lowell cut that song on his solo record, on Thanks I’ll Eat It Here. So he basically brought her into Warner Brothers and got her signed up. I got to play on some of the songs, basically through Lowell. It was all kind of Lowell’s deal, but he wasn’t producing or playing on it really. He was kind of a mentor again [laughs] of the process. But that was a lot of fun. We just knew that she was definitely a very unique, authentic character. At the same time Joni Mitchell, who I love, was trying to kind of be a hipster, and all of a sudden here comes Rickie Lee Jones, and she really is [laughs]. She wasn’t just singing about that life, she was living the life, man. In fact, I used to work at a restaurant in Hollywood. I played with a New Orleans band. And her dad was one of the waiters at this restaurant. So she was an authentic L.A. character, man. 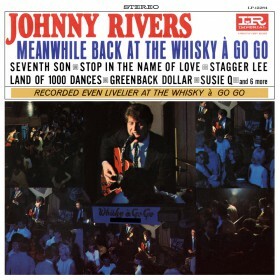 JM: When I was looking up your recording credits, I was surprised to see that your earliest listed credit was playing on the Johnny Rivers album Meanwhile Back at the Whiskey-A-Go-Go. Is that really true? FT: Yes. I don’t think we cut it at the Whiskey-A-Go-Go [laughs], the record. I don’t think I played on the whole record. I think I played on a song or two. It’s a vague recollection. But of course Johnny was the source of all of this stuff. He found Jimmy Webb, and was basically Jimmy’s mentor. He got Jimmy into the world of publishing, The 5th Dimension and all that. 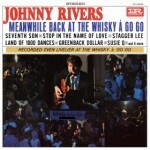 It all came through Johnny Rivers and Soul City Records and everything. Johnny was the main L.A. guy when I came to Los Angeles. Going down to see Johnny Rivers at the Whiskey was what was happening. It was just him and a drummer, and they were rockin’ that joint. Just him and a drummer, and then whoever would come by and sit in with him. So yeah. I don’t see Johnny very often, but he definitely is a friend. A nice guy. The real deal. He’s something else. “Secret Agent Man”. JM: And he’s still going strong. I saw him a couple years ago and it was a great show. JM: Lowell George came from Frank Zappa and The Mothers, and you guys all kind of knew each other. Did you ever play with Frank Zappa? FT: No. I never met Frank. I saw Frank Zappa one night. He came to hear Richie Hayward. I had written a piece for string quartet and guitar. It was kind of an avant garde thing, featuring guitar and strings. We were playing at this place in Topanga called the Mermaid Tavern at the time, which was a classical music nightclub which was very cool for a short time. Anyway, Richie brought Frank out to hear it, and I remember we played the piece and had the usual frustration of no rehearsal. It was not as good as it should’ve been if we’d had a lot of preparation. Anybody who’s trying to do music with string players who want to get paid with their time [laughs], you find yourself with not a lot of time for preparation. So he was walking by and I kind of came around a corner, and I saw him and I looked at him, and we both kind of stared at each other and went on our way. I was too intimidated to even say anything to him [laughs]. And he didn’t say anything to me. Jimmy and I cut a version of “My Guitar Wants to Kill Your Mama”, and Lowell kept saying, “I’m going to bring Frank in to play guitar on it”. Frank said, “Yeah, I’d be willing to do it.” He thought it was a hoot that Jimmy Webb, who wrote “MacArthur Park”, was doing “My Guitar Wants to Kill Your Mama”. But I never really met the guy. JM: Here’s another person from the scene that maybe you knew, maybe not – and Jimmy Webb of course has a song about him – P. F. Sloan. You know, Jimmy felt like P. F. Sloan had written some songs and things and didn’t get the credit that he should’ve gotten. He wrote “Eve of Destruction”. Jimmy always thought that was a great anti-war song. You know, “Galveston” was an anti-war song. He just didn’t think that he had gotten the acclaim and credit that he deserved for being a serious songwriter. I guessing [laughs]. JM: I saw an interview with him recently and there were a lot of great stories. I’m not sure if I believed all of them. FT: Well, like I said, it was a bizarre time. Frank Zappa kind of put it out. It was before the era of A&R men. He had a whole long thing about how the record business was these little old men that had been doing Julie London records and stuff, and rock and roll came along, especially California rock, and all these hippie kids would come in with any kind of band and they were just signing anybody. Anybody that would come in and say, “Yeah, I’ve got this band, one of these guys’ hair is getting pretty good in the back”. They were just signing. You could get a record deal. Anybody could get a record deal any time. And then, this guy came in dressed up like one of the hippies and goes, “I know what these kids like. Let me be the go-between. You don’t want to deal with all these kids out in the lobby there. I know what the music should be like.” Then A&R men came in and the whole thing kind of stopped. Zappa had this great riff on it. It was really true, I think. In fact, a funny thing. Dr. John, Mac Rebennack, we played a show with him a few years back. We were talking and he said, “You know, Liberty Records sent me down to check you guys out. I was supposed to come down and see about giving you guys a record deal, but, you know, I got distracted by something else so I didn’t come. But you were definitely better off” [laughs]. It was a great time for that kind of thing. But then it changed, and it got harder and harder to be considered hip. I don’t know what the heck people do to get a record deal now. Luck. JM: It’s totally different now. FT: I think it is. Like I said, I’m kind of out of the loop now. It’s just me and Little Feat and Paul. JM: What are your plans for the future? 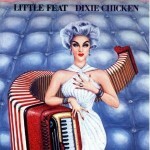 Is Little Feat occupying most of your attention now, or do you have other stuff in the works? FT: At the moment, Little Feat’s kind of on hiatus. We just played together down in Jamaica for a fan event we have every year there that was a lot of fun. We hadn’t played for about a year and a half. We just got up and, it’s one of those things where you start singing Christmas carols and next thing you know everybody knows them. We played together the day before. People who missed the same notes still missed the same notes [laughs]. It was just stepping onstage and kicking it off. We have a couple of shows coming up. We’re doing a benefit in St. Louis in May, and in September we’re playing a festival in Virginia, the Lockn’ Festival, a new festival, and a show at the Keswick Theater. Mainly Paul Barrere and I go out like once a month and do our show, the same thing that we’re going to be doing at the Lobero Theater. We do that duet show basically once a month. We’re getting ready to go down to the New Orleans Jazz and Heritage Festival, where we do a thing called Dead Feat, which is Billy Keutzman and Anders Osburn and Paul and I. We play some Little Feat tunes, we play some Dead tunes. We don’t rehearse or anything, we just show up. It’s a huge event. The first time we did it we all went, “Ooh, this is going to be weird. Four electric guitar players.” [laughs] We called it Guitarmageddon. It’s something else. There’s a fella named Billy Iuso, also from New Orleans, who’s one of the other guitar players. We just go in and meet each other before the show. We don’t even have a soundcheck, really [laughs]. Once a year we crank it up and it’s just epic. Some epic things happen. So we’re getting ready to do that coming. And Paul and I have some shows on the East Coast. So that’s pretty much what’s going down right now. Trying to write some songs, do this and that. Mostly Paul Barrere and I.